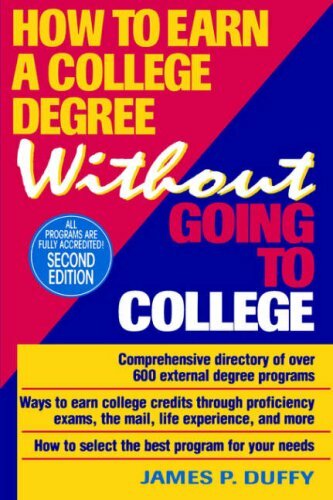 Get College Credit For Life Experience in 3 Easy Steps! To earn college credit, your life and work experience should relate to course(s) offered at your college. To receive credit, you will be required to provide documentation of your experience by submitting a portfolio of prior learning. Below are the three major steps required to earn college credit for your life experience. The exact methods used to evaluate your life experience will vary by university, but this will give you a feel for the process as a whole. Do a knowledge inventory and don’t be modest! What’s your day job? Have you ever served in the military? Are you a volunteer? What have you learned from that experience? Do you have any skills or hobbies? Do you play a musical instrument? Are you an artist or graphic designer? Do you have a private pilot’s license? Think outside of the box! Identify classes that specifically relate to your experience and knowledge. For example, if you are an office manager, you will likely be able to demonstrate that you have the experience necessary to get credit for classes like: Supervision, Human Resource Management, Intro to Computers, Business Management, and so on. Granted, this isn’t a guarantee, but if you can prove you have the required knowledge and experience, it’s well worth your time and effort to apply for credit for these classes. Download the most recent Course Catalog from the university’s website and review all the courses offered. You will be surprised by how many classes you can skip simply by proving you already have the knowledge and experience. And don’t just read the Course Titles as they are often vague. Be sure to review the Course Descriptions; you will be surprised by how much you already know. You will be required to submit a portfolio of prior learning that lists the classes you want credit for and why you think you deserve that credit. You must provide proof through various supplemental materials. If you have on-the-job training, a professional license, or military experience, it’s pretty straight-forward. You already have a slip of paper that proves you’ve been there, done that, got the t-shirt. For other types of experience, you may be required to supply one (or more) of the following items: resume, certificate, diploma, transcripts, letters from employers/supervisors, letters from clients/vendors, letters from community organizations, job descriptions, job evaluations, award certificates, proof of enrollment in continuing education, graded coursework, samples of completed work, and so on. Obviously, what you submit as proof of your experience will depend largely on the nature of your experience and the college you decide to attend. By Joy C. Harrison. Find universities that offer college credit for your life experience now: Accelerated Degree Programs.